← There is no “I” in Team! This week will conclude the series on assessments. We must take a close look at ourselves and ask, “To what extent are we properly aligned with your company’s values?” This will offer clarity about our vision and our motivation. Often times, people aren’t in a position that aligns with their strengths, values, and personality. This week, our guest blogger takes a proactive approach to assessments. 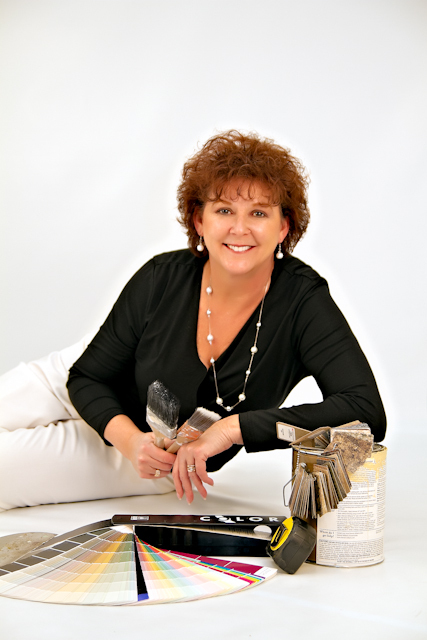 The following is a piece by Pam Shultz, owner of The Frugal Decorator and Moving Maniacs. As the pool of unemployed increases by the day, we as employers have a much larger variety of talent to choose from when filling a position. How do we go about finding the best candidate for the job? There are traditional standards such as pre-interview steps: Confirmation of employment history, educational background checks, credit checks, criminal background checks, references, etc…All of these are dependent on the position they are applying for. You can start with phone interviews to cut out those with less experience or skills. Many companies have a multiple stage interview process. All of these are traditional steps in hiring, some more labor and time intensive than others. In the last few years, the interviewing process has become much more difficult as we have multiple choices of great people we would like to hire. If backgrounds in education and skill were the same and we like each equally well, how do we know who is the best fit not only for the job, but for the company and the people they will be interacting with on a daily basis? Many companies have taken steps to truly clarify who is best for the position by using assessments. These assessments are somewhat psychologically driven and designed questionnaires dedicated to picking out the traits you are looking for in potential employees. Or picking out the traits you don’t want in an employee. There are a myriad of assessments available on the market, some designed specifically for small businesses and some for large corporations. Many are more directed, such as personality assessments, aptitude and skills assessments or position driven assessments to a specific department or job title. You can purchase assessments for everything from top sales positions, management and marketing professionals to executive level assessments and more. Many companies have used personality assessments as a core for hiring. That is not really what these tests are designed for. Those are the employers that may lose out on a great employee because they are not looking at the overall package in conjunction with an assessment. They should be used as a complement to an interview process. Many tests can pick up on those more apt to be involved in immoral or illegal conduct or potential employees who have difficult personality traits. Others focus on personality styles and how those people are apt to interact best with their future associates. There are really two kinds of tests. Most are non-invasive pre-employment testing. These tests are not maliciously given at random, but to everyone applying for work. It is a great and efficient way for employers to weed out the duds from the doozies. We all want to believe what is in front of us, but know that there is a deeper truth behind each individual. It is acceptable to want to find the employee that fits you and your company best. Other tests are purposefully psychologically driven. These are often times a must for non-military assignments in military areas, police officers and government classified positions. They are not usually used nor recommended in a business environment. The bottom line is assessment testing is efficient and helpful if used properly and for the right reasons. Many employers find they spend less time in the hiring process and get better hiring results. This time saved equates to dollars saved. If it allows you to find better suited employees and you have less turnover this also saves money off the bottom line. Much less money is spent in training, unemployment claims, paperwork, and many other things not directly seen as cost driven in business. I have personally taken several of these in various forms when looking for new positions. I have also given many of them to potential employees. I find them to be a helpful tool in my decision making process by helping me choose the right person with the best total package of skill, education, talent, personality and communication. The right employee makes for a happy employee, as well as a happy boss. Pam Shultz-Kovalewski has built two companies since 2002. The Frugal Decorator specializing in beautiful rooms and remodels on a budget and Moving Maniacs a specialty moving company focused on local and national executive moves on a budget and senior moving services. She started her companies during a period of deep adversity in her life and her life story compels her to inspire other women to succeed at self, at family, at community and at careers no matter their situation. Her desire to motivate and inspire women in their personal and professional success, teach them how to live frugally in a tough economy and give them tools to help them succeed. These are the things that make her feel truly connected to the community in which she lives and works. An active volunteer for the American Legion Post 143 Auxiliary, supporting our soldiers and vets, as well as the Leadership Chairman for the Tri County Council of the Legion Auxiliary, a Board member, program committee co-chair, and mentor for Central PA Assoc of Female Executives, and a member of various local networking and business groups. She firmly believes women are the core base of any community, and a healthy, vibrant and successful core, makes for a healthy, vibrant and successful community. This entry was posted in Assessments and tagged 360 degree assessments, assessments, Business, career tips, CEO, coaching executives, criticizing, cultural assessments, employee behavior, Executive Coach, for the employee, for the employer, frugal decorator, human resources, judging, launching lives, manager's coach, moving maniacs, pam shultz, pre-employment screening, Sylvia Hepler, work tips, YouTube. Bookmark the permalink.